...at the Charlie James Gallery in Chinatown as part of the opening of Werewolf curated by Nick Brown. 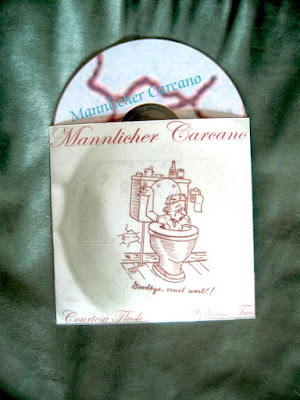 We will strive to have some copies of the hot-off-the-presses "Courtesy Flush Volume 2": over 16 hours of de-banterized transcriptions of the Mannlicher Carcano Radio Hour from 2014 on one mp3 disc, limited artisanally crafted edition of 50 numbered copies. And here are links to the last couple of shows!